Why Fitness Manager is just right for a gym like yours? With an industry experience of 20 years, we know the nuts and bolts of gym management software. There’s nothing you will find missing in FM with our smooth interface. 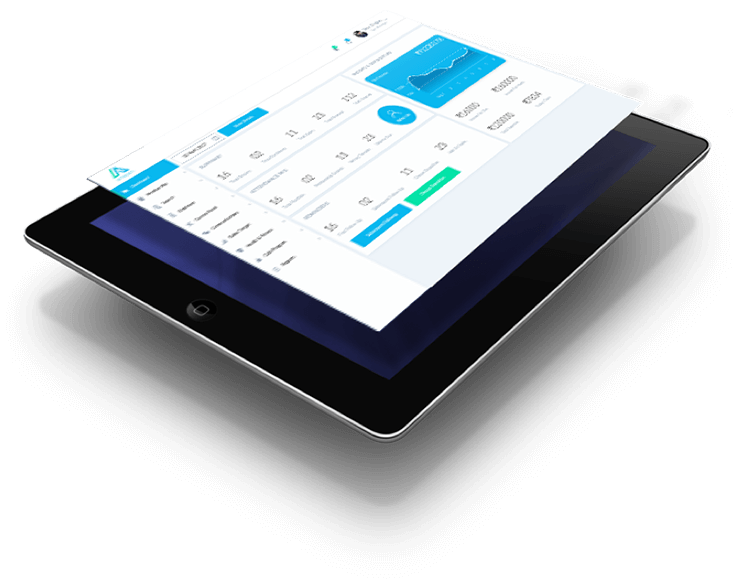 Remotely manage your centers, revenue summary, conversions and member footfalls. Android or iPhone – carry your gym wherever you go! Get an alert on Follow Ups missed by your sales team. SMS alert when a member jumps the access system or when a PT drags even after expiry. Every member can check the progress, diet, workout, attendance, make payments, book appointments, post a feedback, refer a buddy…. and much more, all on the smartphone. FM App - so thoughtful, it anticipates your every need, so much so you'd think it could read your mind! Attendance Popup gets displayed at the Reception, so no member escapes the warm greeting from your Sales Executive. Birthday and Wedding Anniversary jingles, Expiry and Balance Alerts – we keep the front-desk busy at all times! Members can renew membership or pay for PT online. Beat the front desk negotiations, go cashless. Pay at the juice bar, purchase protein supplements, buy merchandise from the Pro Shop - it’s all secured and sorted! Manage your stocks efficiently. Purchase and issue of material – OTC or in- house consumption, its’s all in here. Re-order Alerts on phone and/or email won’t let you miss new orders. Unlike the conventional lock-and- key lockers, the smart wristbands provide easy access and maximum security. The gym can brand these waterproof bands which take care of Access Control as well as Cafeteria Billing. Cutting edge or need of the hour? Get an alert in your email for the Follow Ups missed by your sales team or Assessments missed by the trainers. SMS alert when a member jumps the system. Now isn’t this exactly what you were looking for? Body Composition Analysis from InBody gets seamlessly integrated into FM, thus showing accurate BCA results to the trainer and month-on- month progress of every body part. Member gets to see the same in his App. Fiction ???? Dietitian can plan a Diet or trainer can design a Workout Card using our ready Excel templates which push data in real-time, thus reflecting in the App. Brilliant, isn’t it ? Every entry from FM gets exported to Tally at Day Close. P&L and Balance Sheet can be generated from Tally, by entering the Receipts and Expense Vouchers in FM just once. Can it get any better than this? "Gold's Gym is the largest International gym chain in the world with over 1.5 lakh members in India at present in 125 operational gyms across 20 states. We needed a gym software to handle all our data and help us in assisting and profiting our members and giving them the best service. We found FM software to do it for us. The software fulfils all our requirements and keeps improvising the same as the demands increases. We have been using FM since inception in 2002 and are still using it. We are very happy with the product and its services. Good job Rahul. Keep it up!" "We at Gethin gyms strongly focus in bringing work class service to our global customers. While planning our launch in India we wanted to choose our suppliers who could deliver a high quality service. While doing our study for selection of our Gym management software, we were recommended Anayan's FM multiple times. Post meeting Mr. Rahul, we were convinced that his expertise backed with 20 years of experience in the industry was exactly what we needed. We are proud and happy to be associated with the innovator and pioneer for our gym chain." With your gym empowered with FM, the increase in business is sharp. The follow-up mechanism, SMS and email utilities, App for members and a host of other services, make your clients stick to you. You can focus on your business, while we take care of you. FM has been known as a strong and robust software solution since 20 years. But training and support is always needed when you are a new gym or an existing setup with a new team. We are always a phone call away for instant support and it’s unlimited! A mobile app designed exclusively for members help them track their progress, view their attendance & payment history, Diet Plan, BCA and Workout Schedule. Booking appointments and posting a feedback had never been this easy and private. Want to give power to your Club? © Fitness Manager, Anayan Software Consultancy Pvt. Ltd.